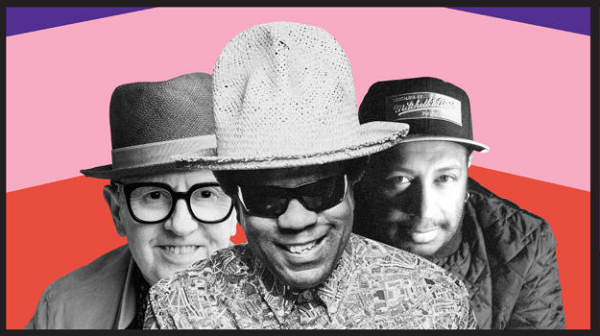 The Operatives have invited reggae icon David Rodigan for his first ever Melbourne show, the return of Good Times purveyor Norman Jay MBE plus Brazil’s drum & bass master DJ Marky – , as well as Melbourne’s very own veterans Monkey Marc and Jesse I - making sure everyone’s dancefloor needs are completely covered! All taking place at the Melbourne’s most regal venue, The Forum. For over 40 years David Rodigan has been the top dog in the ganja-scented, bass-heavy atmosphere of Britain’s reggae dance-halls. Rodigan will be bringing his unique collection of customised dub plates and classic recordings to Sydney for the very first time in February, a once in a lifetime opportunity for his loyal reggae fans to see him play in Australia. Norman Jay is unquestionably one of the most respected and popular DJs in the world today. Co-founder of the legendary Good Times Sound System and London dance music station KISS FM, Jay fostered the ‘Rare Groove’ scene pushing the boundaries of the UK’s emerging club culture. In 2017 he released ‘Mister Good Times’, a compilation capturing the true spirit of Good Times, and is currently taking his legendary Good Times party to selected venues around the world. Boss of the world famous label Innerground, DJ Marky has more than 20 years of experience, taking the art of DJing and producing to another level. DJ Marky will be taking fans on a magical musical journey through drum & bass. Monkey Marc is an Australian electronic music producer with a fiery activist background and a history of writing some of the most progressive music around. He has worked with artists like Roots Manuva, Soom T and YT, and released on labels including Jahtari and Big Dada. Joining these legends of the international music scene on the day will be Melbourne’s own dubplate aficionado, Chat Down Sound’s Jesse I.